Welcome to Astrid Lindgren’s Vimmerby in Småland! Vimmerby is a friendly municipality in northern Småland where you’ll find Småland nature, plenty of forests, lakes, meadows, winding gravel roads, red cottages and barns, just like in an Astrid Lindgren story. It was here, in Vimmerby, that Astrid Lindgren was born in 1907. 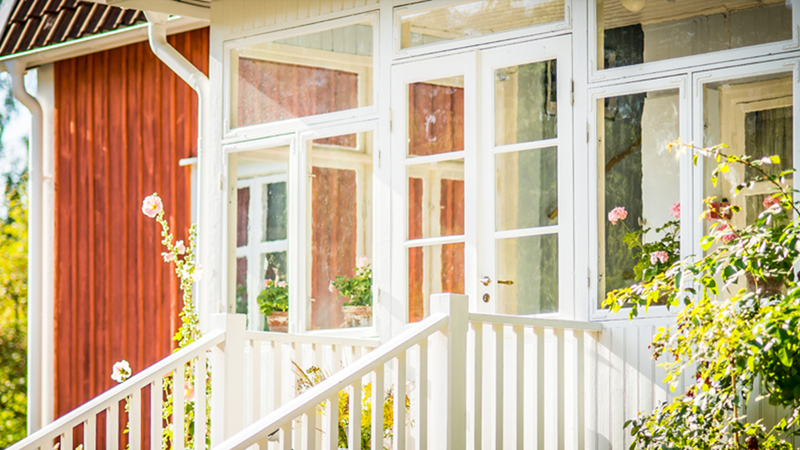 Just a couple of minutes’ walk from Vimmerby Square at the farm Näs you’ll find Astrid Lindgren’s childhood home. As well as a guided tour of the childhood home, you can enjoy exhibitions in the Vicarage, the gardens and the Pavilion. There is much Vimmerby history among the alleys and cobbled streets in the old town centre around the square, Storgatan and Båtsmansbacken. This has been a marketplace since 1604 when Vimmerby regained its town charter from King Karl IX. The areas later developed into a living small town with trade, culture and entertainment that inspired many of Astrid Lindgren’s stories. The countryside around Vimmerby is also home to many well-known products and exciting experiences. In Frödinge, the famous and tasty curd cake is made, and on the outskirts of the town there is the family brewery ÅBRO. Just outside Vimmerby, you’ll also find Katthult and Noisy Village, the locations where the films about That Emil and the Children of Noisy Village were shot. The countryside also offers opportunities to kiss moose, meet Ardennes horses and small animals on the local farms, ride a zipline and climb among the treetops, admire a unique collection of motorcycles, play and have fun in an indoor playground, and enjoy peace and quiet at a museum or in one of Vimmerby’s parks. Astrid Lindgren, our best-loved author, was born and grew up at Näs. This is where she got the inspiration for many of her stories and books. This is where she heard the stories and met many of the people and settings that laid the foundation for her books. This is where she climbed the lemonade tree and played with her siblings in the woodshed. This is where she jumped in the hay and listened to stories in Kristin’s kitchen. The three small farms in Sevedstorp were the model for Astrid’s books about Bullerby. This is where Astrid’s father Samuel August grew up and this is where the films were made about Bullerby in 1986/87 under the direction of Lasse Hallström. In the summertime the village comes to life. There are a few different animals, you can jump in the hay and in one of the barns you’ll find Café Sörgården where waffles, Swedish cheesecake, sandwiches, ice cream and other things are available. In Filmbyn (Film village) you’ll enjoy film sets from classic children’s films such as Emil in Lönneberga, Seacrow Island and Pippi Longstocking. Step into the world of film through this exhibition, created in the spirit of Astrid Lindgren. Here you’ll see classical set constructions and original film costumes, sing along with the film themes, create your own films and experience other interactive environments. Katthult’s real name is Gibberyd and is about 25 km from Vimmerby in the village called Rumskulla. Here you can see everything you loved in the Emil films. This is where the classic Emil films were shot in 1971-73. Experience the atmosphere in the well-preserved film setting and visit the world-famous tool shed into which Allan Edwall chased Emil so many times.Meet all the animals on the farm in the idyllic and unique environment. In the Katthult shop, you can buy souvenirs, coffee, ice cream and drinks.